Last week, Tesla announced the so-called Powerwall. The Powerwall is a home battery that can be charged via solar panels or via the grid when utility is low. By using the Powerwall, electricity can be stored when the sun is out and it can be used when electricity demand is the highest. Furthermore, the battery can be used as an emergency backup in a power failure as well. Tesla also announced the Powerpack, which “is designed to scale infinitely” and is targeted to (large) businesses. However this article will focus on the Powerwall to see whether it’s you and me can that can add value to a more sustainable world. So, how is the electricity demand distributed? First, in the morning there is a peak in the amount of electricity used. You are not having breakfast in the dark, right? Then, during the day the electricity demand is decreasing rapidly. For instance, less light is being used and devices are using their batteries (thing about mobile phones). Last, the electricity demand is going sky high in the evening. Think about your own evenings: you are using your oven to prepare your meal, then you’re switching on your TV to watch a movie and then you put on multiple lamps to brighten your living room. Tesla’s Powerwall can store electricity produced during the day, to meet the electricity demand peak in the evening hours. 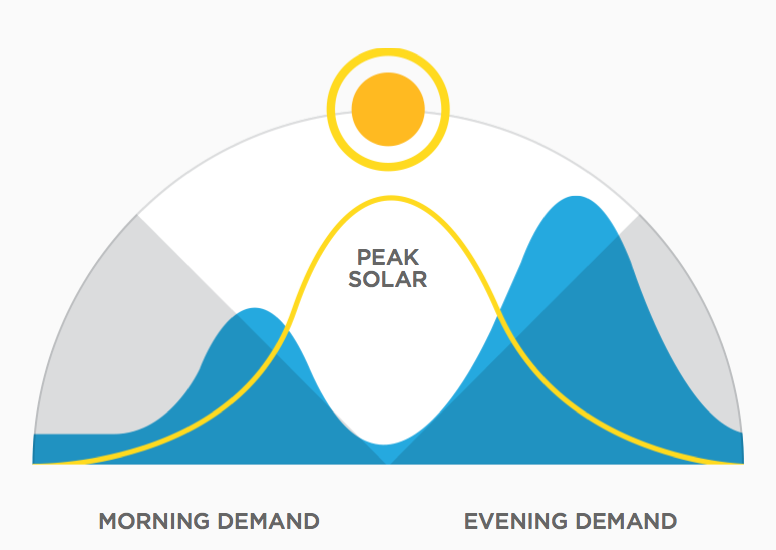 By using Tesla’s brand new product in combination with solar panels, consumers can become fully independent from the utility grid. Consumers can start adding value to the world’s energy efficiency usage themselves! There is no need to point fingers at the big energy providers; you can take action yourself. But does the Powerwall provide the perfect solution for all of us? No, not yet. In an article about the Powerwall, Christopher Helman (Forbes) describes that Tesla’s latest innovation doesn’t make economic sense unless your house is solar panelled and entirely of the grid. Although the Powerwall isn’t economically feasible yet, the US government announced 30% federal tax credits of the battery price. Furthermore, California has a 60% be-a-fool-to-not-try-this rebate. These rebates will increase the adoption of the Powerwall among people who can afford it and who are willing to live more sustainable. The income generated via the early adaptors can be used for further development of the batteries, which then will lead to decreasing prices. 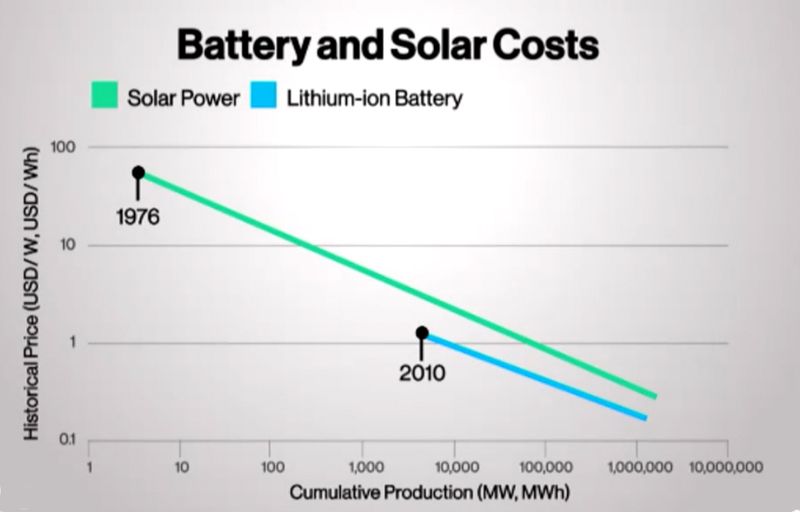 Besides, prices for solar panels are decreasing as quickly as batteries nowadays. Therefore, there is a huge potential market for Tesla: more and more consumers can start adding value to the worlds energy efficiency. To conclude, the introduction of Tesla’s Powerwall allows consumers to start living completely off the grid. Although it’s not economically feasible for the entire world yet, it’s a great first step. Early adaptors and innovation will lead to decreasing prices and more Powerwall users. So from today, let’s start adding value to a more sustainable world together!